Be featured in SPEAKERS MAGAZINE. This is INFLUENCER MARKETING on steroids. What is influencer marketing? Influencer marketing is a form of marketing in which focus is placed on influential people rather than the target market as a whole. It identifies the individuals that have influence over potential buyers, and orients marketing activities around these influencers. The professional speaking business is a multibillion dollar industry and growing. SPEAKERS Magazine provides a ready-made platform for speakers to get in front of influencers who make decisions about what speakers they want to hire. 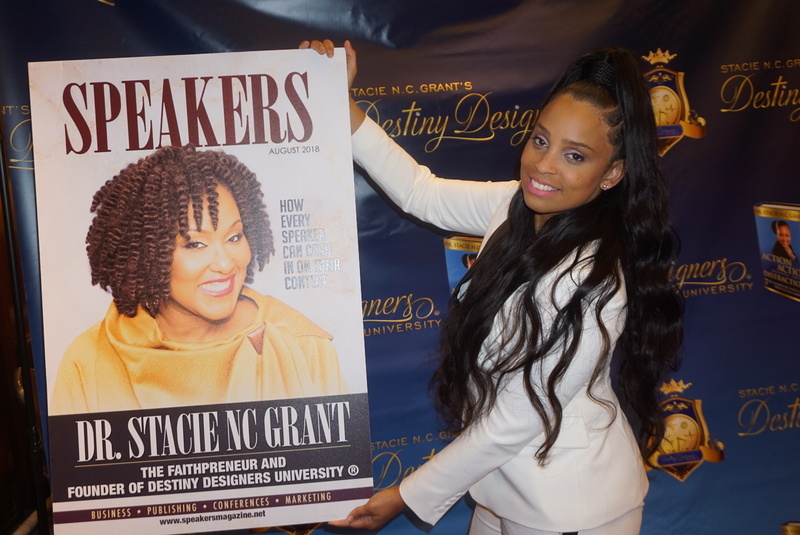 SPEAKERS is also the OFFICIAL MAGAZINE of THE BLACK SPEAKERS NETWORK (with more than 5,000 members). Our publication showcases professional speakers and shares secrets and tips on what the mega stars in the speaking industry have done and are doing to build their careers. SPEAKERS Magazine tagline: The Magazine That Feeds and Features Speakers. This magazine has been around less than a year and already speakers are getting media interviews like radio and TV appearances (like Renee Beavers) and getting $7500 for keynotes like Genma Holmes! One speaker, Portia Lockett who also ran an advertorial is the keynoting at an event this April in Detroit. So… SPEAKERS is a prime source to clearly reach INFLUENCERS who can help catapult speaking careers by being strategically distributed MONTHLY at professional conferences, mailed to event planners, visitor bureaus and broadcast media outlets via my private media list. We also promote featured speakers advertorials via our arsenal of social media channels, email lists, podcasts, blogs and website. The online issue, which can be downloaded for free, is always available on our website at www.speakersmagazine.net along with speaker reels of all the advertorials of each speaker. Deadline is the 22th of each month, but if camera ready, need materials by the 26th of the month. So, you want to get out there? Let’s go… www.speakersmagazine.net is your tool to get known and get paid! As I always say, THOSE THAT SHOW UP, GO UP!